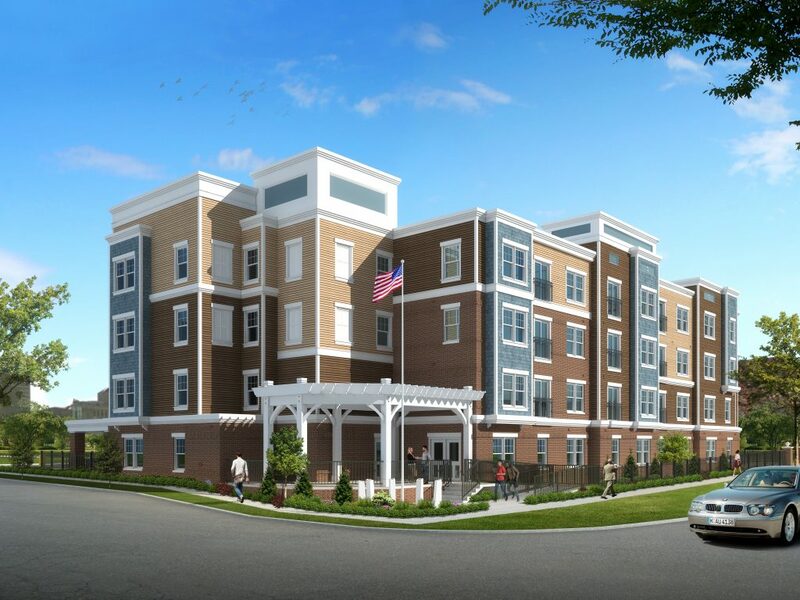 Rochester, N.Y. (WHAM) – Construction is underway on a new affordable housing development in Rochester for veterans and their families. A groundbreaking ceremony was held Friday morning on Scio Street for the new Veterans Outreach Center (VOC) Liberty Landing. The new $10.4 million project is designated to create 33 homes for veterans and families. Of those homes, ten will be reserved for veterans with disabilities. VOC Liberty Landing will be a single four-story building on the vacant site of a former warehouse in downtown Rochester’s Center City Grove Place neighborhood. Conifer, LLC is developing the site. The building will have 27 one-bedroom and six two-bedroom apartments, all of which are energy efficient. Rent prices will be affordable for households that bring home up to 60 percent of the area median income. Four apartments are designed to be fully accessible for individuals with mobility impairments and two designed to meet the needs of those who are hearing or visually impaired. In addition to the apartments, the building will have an elevator, community and exercise rooms, laundry facilities, computer area and resident storage space. On-site support services will be made available for veterans as well, including benefits and financial counseling, job and employment training, peer-to-peer mentoring, and wellness services. “We have an obligation to ensure those who served our country and families in need have a safe and healthy place to call home,” Governor Cuomo said. A RTS bus stop will be located directly across from the Liberty Landing building for easy transportation access. Federal low-income housing tax credits are expected to generate $5.3 million in equity and $3.3 million in subsidy for the project. Additional rental assistance, as well as funding for supportive services, will come from the State Office of Temporary and Disability Assistance. The City of Rochester HOME funds and the Federal Home Loan Bank will also supply financial assistance.